Shelley & Pete had known each other for years, but was on a night to the sound of Lionel Richie that made Shelley realized that she had found the Mr. Right. Pete & I knew each other from years ago and organised to meet up again in Ascot to have a drink. “I knew once Pete danced with me to Lionel Richie’s ‘All night long’ in an empty bar, one Tuesday night that he was marriage material!!" Quite a few wines and tequilas had been enjoyed, which led to an unscheduled night stop due to getting so carried away by the music and romance of the evening, that I missed my train home. The romance continued the next morning when Pete offered to take Me out for breakfast... a fry up! I thought to myself, lots of wine, dancing to Lionel and a fry up, what a perfect date & cocktail for love! A few months later we were engaged, and a year later we celebrated our love for one another with the most perfect Wedding day, thanks to Dalia. I always wanted to get married in the Algarve. I had been to a wedding reception in the Tivoli. Fell in love with the Algarve and how lovely Vilamoura is and what it has to offer as a holiday and venue for all our family and friends and as I expected filled all of our expectations and more. From the initial contact with Dalia and the team at Algarve Events they gave us great confidents in their product. 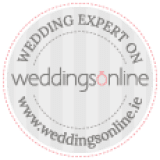 From meeting Dalia on our initial visit by her warm, friendly but extremely professional manner I had no doubt our wedding day was in great hands and would be one to remember. From start to finish everything ran seamlessly and was organised impeccably. This made our wedding day truly amazing as we did not need to worry about anything as I knew it was in safe hands which enabled us to enjoy our day from start to finish. It was truly a day to remember and we would love nothing more than to do it all again. We will always remember seeing each other and getting married on the beach, surrounded by people we love, followed by an amazing sunset all captured by the photographer and on film so we can relive and remember everything about our day forever. The best advice we could give Algarve Events is carry on doing what you doing! Our day was perfect due to all the hard work and dedication you put in. A huge thank you to Dalia it really was like having a friend arrange our wedding. We really could not of asked for a better day or wedding planner.